Money Metals Exchange caters to clients who range from experienced bullion investors to people buying their first coins. 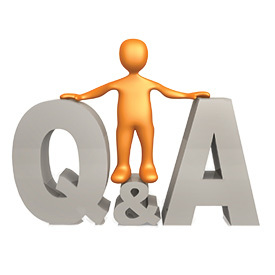 All of them have questions from time to time, and we do our best to provide straightforward answers. We like to publish some of those questions and our responses when we know other readers will be interested. Q: How much retail demand are you seeing for bullion these days? The end of the Obama administration, the defeat of Hillary Clinton, and the election of Trump made investors generally more optimistic. They see less reason to seek safe haven in bullion. Buyer fatigue is playing a role. Demand for coins, rounds, and bars had been running at extraordinarily high levels since the 2008 financial crisis. Investment returns in the stock market have been strong since last November, keeping momentum-oriented hedge funds and institutions in “risk on” mode. Buyer fatigue, by its nature, is a temporary phenomenon. The same can be said for bear market cycles – they don’t last forever. The 2011-2015 downturn in metals appears to have run its course. Time will tell, but we may already be seeing the start of a new multi-year uptrend. Gold and silver prices have enjoyed a good run since the first of the year. Q: Is investor optimism toward Trump’s policies justified at this point? A: Our view is that Congress is unlikely to support both huge spending on infrastructure and tax reduction. Frankly, we expect very little from Congress when it comes to delivering any sort of meaningful reforms. The effort to repeal Obamacare failed. And Trump himself has disappointed many supporters in recent weeks. “Making America Great Again” is a lot easier said than done. Q: What can you tell me about the troubles at Elemetal? I have some of their bars, should I be concerned? A: Elemetal is an integrated precious metals company. They are perhaps best known as a major U.S. refiner and manufacturer of bars and rounds. In recent years, the company acquired NTR (North Texas Refinery) and OPM (Ohio Precious Metals) whose bars and rounds have been sold widely. In addition, the firm offers financing and liquidity to bullion dealers via Elemetal Capital, secure vaulting services, precious metal scrap collection, and more. The company’s recent troubles relate to criminal charges against one of its executives last month. U.S. authorities arrested Juan Pablo Granda, the company’s operations manager responsible for sourcing unrefined metal in South America. The charges allege Granda helped launder billions of dollars for criminal organizations, including drug traffickers, who operate illegal gold mines. Elemetal purchased the mine output and imported it through Miami, FL. Based on those charges, the COMEX has temporarily suspended the company’s registration. Elemetal bars cannot be used for delivery against gold and silver futures contracts on the exchange. Thus far, no one else has been arrested or charged and Elemetal continues to operate. Allegations are yet to be proven. It is impossible to say what lies ahead for the company. Our goal is to alert our customers to what is happening so they can make informed choices about how to react. For those who already own bars made by Elemetal, NTR or OPM, we suggest there isn’t much to worry about. There are hundreds of millions of ounces of those bars circulating, and they are well regarded in terms of quality. As it happens, Money Metals Exchange is not currently sourcing any products or services – including financing – from Elemetal.